The material – which is 20 times whiter than paper – is made from non-toxic cellulose and achieves such bright whiteness by mimicking the structure of the ultra-thin scales of certain types of beetle. The results are reported in the journal Advanced Materials. To appear as white, however, all wavelengths of light need to be reflected with the same efficiency. Most commercially-available white products – such as sun creams, cosmetics and paints – incorporate highly refractive particles (usually titanium dioxide or zinc oxide) to reflect light efficiently. These materials, while considered safe, are not fully sustainable or biocompatible. 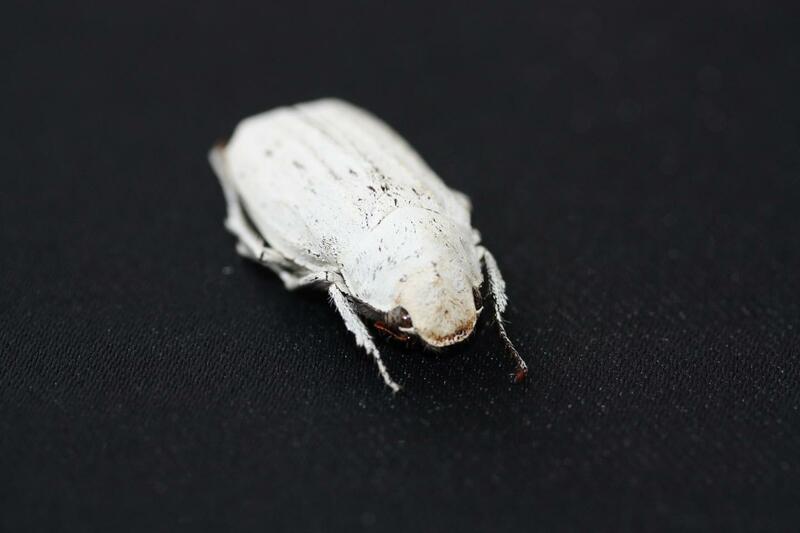 In nature, the Cyphochilus beetle, which is native to Southeast Asia, produces its ultra-white colouring not through pigments, but by exploiting the geometry of a dense network of chitin – a molecule which is also found in the shells of molluscs, the exoskeletons of insects and the cell walls of fungi. Chitin has a structure which scatters light extremely efficiently – resulting in ultra-white coatings which are very thin and light. "White is a very special type of structural colour," said paper co-author Dr Olimpia Onelli, from Cambridge's Department of Chemistry. "Other types of structural colour – for example butterfly wings or opals – have a specific pattern in their structure which results in vibrant colour, but to produce white, the structure needs to be as random as possible." The research was funded in part by the UK Biotechnology and Biological Sciences Research Council and the European Research Council. The technology has been patented by Cambridge Enterprise, the University's commercialisation arm.